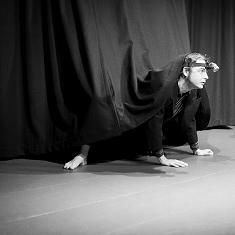 Something pretty special is going to be happening on the 14th November at Beeston Tales. It’s the return of one of our most popular tellers, the amazing Ana Lines, with her show Reflecting Fridas. But we don’t just have the incredibly charismatic Ana bringing you her show. If you want, you can make this a truly memorable night out. Join us for a festival of sensory delight with a Mexican Feast at The White Lion. Get your appetite for stories whet in advance of the main event with food from the kitchen and wine from the cellar. And for those of you really looking for the deluxe storytelling experience, why not join Ana for a short workshop session earlier in the evening, where she’ll be explaining the meaning of the Death Table in Mexico, leading breathy exercises that help unlock real life stories, and helping us step even more deeply into her enchanted dialogue with Frida Kahlo. Our £5 discount advance ticket for Reflecting Fridas. The life and work of the Mexican artist Frida Kahlo are the inspiration for this show created and performed by Beeston Tales’ favourite Brazilian storyteller – Ana Maria Lines. Frida’s soul echos in many of us. 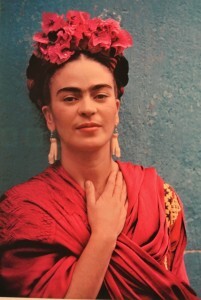 Frida’s diversities, love, injuries, suffering were the subject for her work An unique life, an exceptional woman. Upstairs at the White Lion, Middle Street, Beeston. Doors at 7.00 for a 7.30 start. Tickets no longer available in advance. They may be some on the door. Arrive early to avoid disappointment! For the true story connoisseur, join Ana for a short workshop session earlier in the evening, where she’ll be explaining the meaning of the Death Table in Mexico, leading breathy exercises that help unlock real life stories, and helping us step even more deeply into her enchanted dialogue with Frida Kahlo. For £25, this ticket also includes the Mexican Feast and the show. THIS TICKET IS ONLY AVAILABLE IN ADVANCE, get it before Monday 12th November or risk missing out. Gather upstairs at The White Lion for 5:15.